Here's some actual detailed information that doesn't cite CIA owned Google or The Washington Post. And if you still believe you are the cause of so called Global Warming do us and you a favour and kill yourself. Hey Big Sleazy, good luck with some of the Libtard snowflakes responding to this. There is just too much proof to this. Maybe theres not enough potential "Maybe" in the article for them to jump all over you for? Lets chalk this one up for a win for the intelligent people! You idiot deniers must live in space to think this is relevant. 1. Do you deny natural events could be responsible for any climate change to any degree? You are a classic denier. And its so easy to prove. Here are the findings of science from across the globe on the matter of climate change. Do you accept their findings or deny them and claim you know better? You do far more harm than good to your cause as most intelligent people question absolute positions taken by uncompromising fanatics. 1.Do you deny natural events could be responsible for any climate change to any degree? You nailed my argument in one post. 'that is not science' is denying science. mr johnnylarue is a science denier. We need to remember what science is it is not a compilation of facts. Rather it is a set of processes used to gather relatively reliable information about the world we live in, our societies and ourselves. It is the formality of these processes that gives science its privilege and validity over other claims to knowledge about our world that can only come from belief, received wisdom, or anecdote. When this formality is broken whether by unsupported claims , hidden biases , lack of reproducibility , and inadequate peer review public trust in science is harmed and its privilege is undermined. 1) Unsupported claims In the Summary for Policy Makers of its Third Assessment Review, the Intergovernmental Panel on Climate Change made the single most dramatic assertion in the history of the global-warming movement: The increase in temperature in the 20th century is likely to have been the largest of any century during the past 1,000 years. It is also likely that, in the Northern Hemisphere, the 1990s was the warmest decade and 1998 the warmest year. The only evidence offered in support of this statement was Michael Mann’s hockey stick. Does it, indeed, support such a claim? Not according to many of the scientists in these pages. The Danish climatologist Bo Christiansen examined nine Mann “hockey sticks” and says it is “almost impossible to conclude” from any of them that “the present period is warmer than any period in the reconstructed period”. Professor David Legates writes that “one can have no confidence in the claim that the 1990s are the warmest decade of the last two millennia” (by then Mann had extended his flexi-shaft back another millennium.) Almost every other serious reconstruction shows much greater natural climate variability, and the 1990s within the bounds of that. And, as Professors McShane and Wyner point out, most of these reconstructions look nothing like hockey sticks. Indeed, it remains an open question whether what his oeuvre purports to divine a “global temperature” is in a scientific sense “supportable”. In the absence of reliable tropical data, says Dr David Rind, “we have no way of knowing how cold (or warm) the globe actually got”. So unsupported claims: yes. 2) Hidden biases Later in this book, Nobel Prize winner Ivar Giaever reminds us that “in pseudoscience you begin with a hypothesis which is very appealing to you, and then you only look for things which confirm the hypothesis”. Mann began with a hypothesis that the global temperature record had been pretty stable for 900 years and then in the 20th century it soared up and out the roof. And so he looked for “things which confirm the hypothesis”: As Mann put it, “one set of tree-ring records” was “of critical importance” in conjuring his stick. So his hypothesis that it looks like a hockey stick is confirmed only because a tree ring that produces a hockey-stick shape is given 390 times the weight of a tree ring that does not. That tells you nothing about what the temperature was in the 15th century, but a lot about Mann’s biases. He chose a statistical method that, as the US National Research Council noted rather primly, “tends to bias the shape of the reconstructions”. Furthermore, the scientists who actually collected the tree-ring data that Mann cannibalized insist they’re primarily an indicator of CO 2 fertilization, not temperature. At the IPCC level, he maintained his bias against anything that contradicted his hypothesis. As Professor John Christy testified to Congress, Mann “misrepresented the temperature record of the past thousand years by (a) promoting his own result as the best estimate, (b) neglecting studies that contradicted his, and (c) amputating another’s result so as to eliminate conflicting data”. Hidden biases: yes. 3) Lack of reproducibility Is Mann’s work “reproducible”? They gave it a go in Berlin. “She came to the conclusion that she cannot reproduce his diagram,” says Professor Ulrich Cubasch. “The real problem in this case, in my view, is that Michael Mann does not disclose his data.” Except for a small trusted coterie, Mann declined for years to release the elements needed to reproduce his stick. In evidence before the House of Commons in London, Professor Darrel Ince noted Mann’s refusal to cough up his computer code, and said that he would “regard any papers based on the software as null and void”. His stick could be neither proved nor disproved and, as Professor Vincent Courtillot reminded European climatologists, if “it’s not falsifiable, it’s not science”. Lack of reproducibility: yup. So three strikes, he’s out. No, wait, that’s another sport entirely. For hockey, you need four. 4) Inadequate peer review “The hockey stick is an extraordinary claim which requires extraordinary evidence,” wrote Oxford physicist Jonathan Jones. Nature never asked for any and, when it fell to others to demonstrate the flaws of the stick, the journal declined to share their findings with its readers. Mann and a few close allies controlled the fora that mattered, and banished any dissidents. “It’s a completely rigged peer-review system,” concluded CalTech’s Dr David Rutledge. Fourth strike. The unsupported claims, hidden biases, lack of reproducibility and inadequate peer review of Mann have surely harmed “public trust in science”. What follows is one scientist and his science, by those who know both the work and the man. Pat&Stu took this graph from Obama's Science Adviser, Dr. Holdren, and completely blew it to pieces! Left wing / libtard / alarmist explain this! Today most scientists dismiss the hockey stick.” DR MADHAV KHANDEKAR, PHD Meteorologist and climatologist. Research Scientist with Environment Canada for 25 years. Editorial board member of The Journal of Natural Hazards , and former editor of Climate Research . Member of the American Geophysical Union, the Canadian Meteorological and Oceanographic Society, and the American Meteorological Society. Former World Meteorological Organization lecturer in meteorology. MSc in Statistics from Pune University, PhD in Meteorology from Florida State University. Before the hockey stick, climate science was a complicated business: a vast Amazonian river (as Professor Kiminori Itoh of Yokohama National University characterized it with many tributaries from aerosols and volcanoes to solar variations and land surface modifications. Medieval Warm Period from the 8th to 12th century, which was also significant. graph to be a correct representation of the global mean temperature. Can that really be true that most scientists “dismiss” the hockey stick? 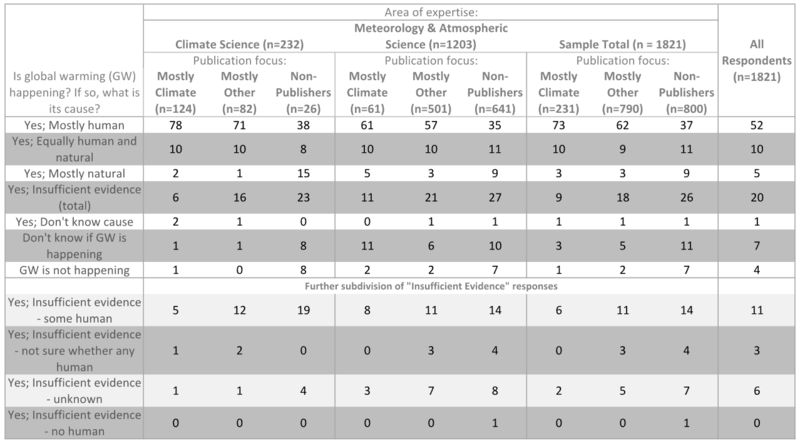 scientists from around the world disagree with Mann’s science, and sometimes very forcefully and they include not only “deniers” but full-scale “alarmists” and all points on the spectrum in between. 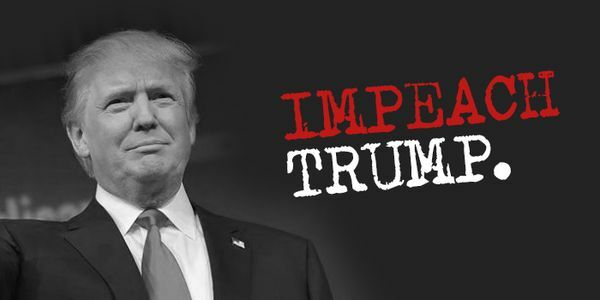 These people reject not only his science but his style the peculiarly vicious yet self-defeating “climate war” mentality so unsuited to a great grey blur of contradictory uncertainties. You can believe in anthropogenic global warming, an impending ice age, solar heating, natural variability or no big deal whatever happens, and still regret the appalling damage done to climate science by Mann’s total war in service of a piece of cartoon climatology by a one-stick pony. Yet the real question is not whether “most scientists” dismiss the hockey stock today, but why more scientists didn’t denounce it back then. Too many people who should have known better sat idly by as an obscure researcher, with the ink barely dry on his PhD, overturned the accumulated scientific wisdom of centuries because it was convenient to the political goals of activists, bureaucrats, politicians and above all an ambitious new transnational bureaucracy, the Intergovernmental Panel on Climate Change. It is difficult to avoid the impression that the IPCC uncritically accepted scientific work that “repealed” the Medieval Warm Period and the Little Ice Age because these two well-known features of the climate record placed Global Warming Theory in doubt, at least for the global public. DR JEFFREY E FOSS, PHD BEYOND ENVIRONMENTALISM: A PHILOSOPHY OF NATURE (2009) T HE HOCKEY stick is what’s known as a “proxy reconstruction”. can take it to the bank. First, the proxies: The hockey stick is generally believed to show global (actually Northern Hemisphere) temperatures for the last millennium. But Mann does not, in fact, have any temperature readings for, say, the year 1143. That’s because your average medieval peasant village did not have a weather station, and neither Daniel Gabriel Fahrenheit nor Anders Celsius had yet been born. So Mann has to divine his 12th century thermometer readings from “proxy data”. What is a proxy? Well, it’s something like an ocean coral or an ice core or some lake sediment from which one can “reconstruct” the temperature history. In Mann’s case, it was mostly tree rings. Much of the world isn’t terribly forested, and most of the parts that are can’t tell you the temperature for 1143. For a shot at that, you need a thousand-year-old tree, and there are only a few of those around, here and there in Siberia, in parts of Canada, in California. That was his first mistake: His proxy reconstruction uses the wrong proxy. To a kid, a tree ring is simple: Jack counts in and finds out whether his tree is older than Jill’s. But, if you’re trying to figure out the temperature, it’s more fraught. “The original ‘hockey stick’ graph figured strongly in the IPCC 2000,” Professor Anthony Trewavas told the British House of Commons. “But it is an artifice… The size of the tree ring is determined by everything that affects all aspects of plant development. These are: soil nutrients and structure; light variations; carbon dioxide; competition from other trees; disease; predators; age; rainfall; previous developmental activity as well as temperature. Temperature, for which it supposedly acts as a proxy, is just one contributor amongst many and of course reflects local conditions only. Mann’s ‘hockey stick’ failed,” he continued, because “tree rings on their own are not a reliable proxy.” Oddly enough, boreholes and other proxies disagree with tree-rings when it comes to the temperature record. Mann had a few alternative proxies in his mix, but just a soupçon , so he could claim to have included them if anybody asked. And then he further refined the process: Having chosen the wrong proxy trees he took the additional precaution of using the wrong kind of tree. Those ones in the American west, for example, are bristlecone pines. They’re certainly old: There’s a bristlecone pine in California’s White Mountains that has been precisely dated 5,064 years old in 2015 and is believed to be the oldest tree on earth. Unfortunately, the guys who know bristlecones including the very scientists who collected the data Mann used say they’re unreliable as thermometers. Those California bristlecones are sensitive to higher atmospheric CO 2 concentration, regardless of whether the temperature’s going up or down. Mann knew this. As Hans Erren observed, Mann’s North American trees did not match the North American temperature record. Yet he decided that, even if they couldn’t reliably tell you the temperature for the bit of sod they were planted in, they could reliably tell you the temperature for the entire Northern Hemisphere. Even the National Research Council of the National Academy of Sciences bristled at the cones: For the earliest part of the 1999 analysis, Mr Mann’s group relied heavily on bristlecone pines from western North America. The original study noted that there were some difficulties in using such trees because of peculiarities in their recent growth, but Mr Mann and his group attempted to quantify those problems and to work around them. By contrast, reputable dendrochronologists won’t use data sets with fewer than five trees on the grounds that one or two (never mind zero trees) might not be that representative. But Mann did and then he made them even more mega-representative by double-counting that pair of Gaspé trees in two separate data sets. And suddenly you can’t see the Little Ice Age or the Medieval Warm Period for the trees or tree. Wrong proxy, wrong tree, wrong location, wrong method = right answer: LIA MIA. MWP RIP. We all know Mann is a fraud. A good read is A Disgrace To The Profession by Mark Steyn. A group of scientists thoroughly debunk the methodology behind the hockey stick graph. You are the one that stated that the IPCC findings on climate change 'are not science'. That is science denial, plain and simple. Yeah Mann is a fraud. AGW Is plainly fraudent. Hockey stick is fraudent. Here more studies show temperature manuipulated by climate scientists in Australia. By Jennifer Marohasy - posted Monday, 28 September 2015	Sign Up for free e-mail updates! For the true believer, it is too awful to even consider that the Australian Bureau of Meteorology could be exaggerating global warming by adjusting figures. This doesn't mean though, that it's not true. In fact, under Prime Minister Tony Abbott, a panel of eminent statisticians was formed to investigate these claims detailed in The Australian newspaper in August and September 2014. The panel did acknowledge in its first report that the Bureau homogenized the temperature data: that it adjusted figures. The same report also concluded that it was unclear whether these adjustments resulted in an overall increase or decrease in the warming trend. No conclusions could be drawn because the panel did not work through a single example of homogenization, not even for Rutherglen. Rutherglen is of course in north eastern Victoria, an agricultural research station with a continuous minimum temperature record unaffected by equipment changes or documented site-moves, but where the Bureau nevertheless adjusted the temperatures. This had the effect of turning a temperature time series without a statistically significant trend, into global warming of almost 2 degrees per Century. According to media reports last week, a thorough investigation of the Bureau's methodology was prevented because of intervention by Environment Minister Greg Hunt. He apparently argued in Cabinet that the credibility of the institution was paramount. That it is important the public have trust in the Bureau's data and forecasts, so the public know to heed warning of bushfires and cyclones. Steyn and Tim Ball were both being sued for defamation. Ball's case was dismissed on the grounds that Ball's writing is so ludicrous that nobody could take it seriously. OMG, do you really have to recycle 10 year old debunked garbage constantly? That was stupid when it came out 10 years ago, and yet you still think its legit? 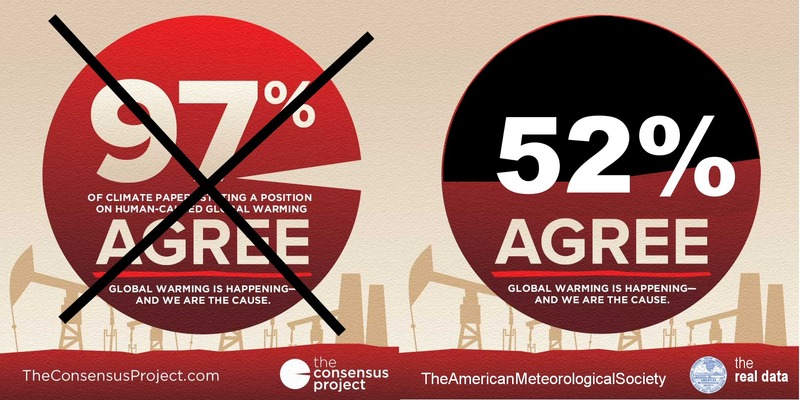 Also your 97% consensus is fraudent. Just 52 percent of survey respondents answered Yes: Mostly human. The other 48 percent either questioned whether global warming is happening or would not ascribe human activity as the primary cause. That’s a long way from Cook’s “97% consensus” lie. PS. FYI: Peer-review: Cook et al. (2013) was published in the journal Environmental Research Letters (ERL) which conveniently has multiple outspoken alarmist scientists on its editorial board (e.g. Peter Gleick and Stefan Rahmstorf) where the paper likely received substandard "pal-review" instead of the more rigorous peer-review. You should try checking that out with actual scientists instead of weathermen. How about starting with the AAAS, an organization that represents the largest number of scientists around the globe. Are you so damn stupid that you can not make a compelling argument without lying? I also said the the IPCC is political. Ah character assassination when faced with a dissenting view. Are you going to attack each one of their characters individually or will you just attack them as a group out of convenience ? The IPCC is a scientific body that summarizes the body of climatology into reports. I asked you about Steyn, who you used as a reference. He's an idiot, a hack journalist with no background in science. And that's who you back? And I'll take your lame list of 100 scientists (love the section of dead scientists on your wiki page, not to mention the zero climatologists) and I'll trump you with the 120,000 scientists from around the globe backing the IPCC findings. I've just listed 1000X more experts. Grow up and realize you are a science denier who has no clue.